Micro-Coax has been a leading manufacturer of semi-rigid cable for over 50 years. 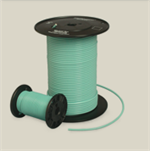 Amawave is a Micro-Coax distributor and carries their complete line of semi-rigid cable and flexible cables. We have very small minimum orders on semi-rigid cables and 25 feet on hand-formable and flex cables to keep prototyping costs down. © 2019 Amawave, Inc., All Rights Reserved.